It’s always a good idea to start a new sport with the safety basics. Our fun, capable coaches will get you going with confidence! Got experience and want to learn more? Turn a windy day into an opportunity to expand your skills. Day and half-day courses can be set up with 24-hours notice, so long as equipment and coaches are available. 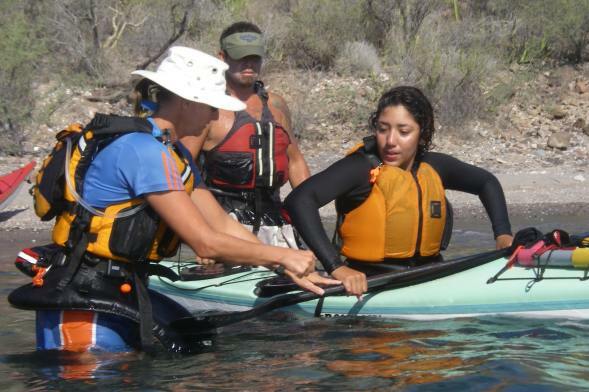 Half day courses include permits and equipment. Full day courses include lunch as well. Please inquire for upcoming dates or see the CALENDAR LISTING below. For first-timers, this short introduction is well worth the time! From adjusting the foot pedals to how to hold the paddle. 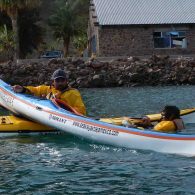 From how to sit in the kayak to how to move it with the big muscles and not just the arms. How to fall out and what to do next. How to make it go where you want it to. 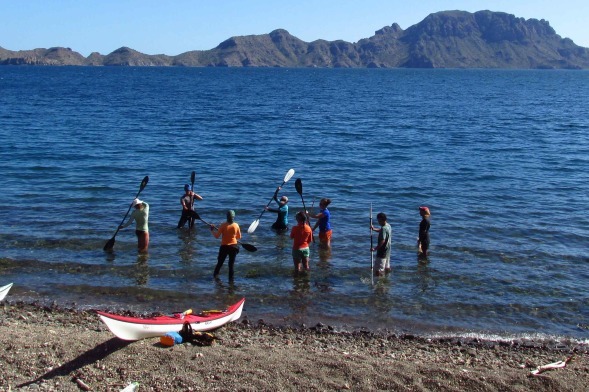 Join a Kayak Start and get off to a brilliant start! For first-timers, this short introduction is well worth the time! From how to carry the board to how to hold the paddle. From where to put your feet to how to move it with the big muscles and not just the arms. How to fall off and what to do next. Tips for maintaining your balance, and tricks for turning. Join a SUP Start and get off to a brilliant start! 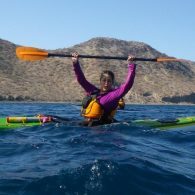 Open to everyone, but designed especially for those who have some kayaking experience but have never practiced falling out and would like to join us for a trip that requires it. 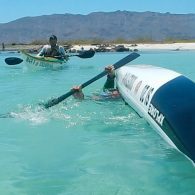 Capsizing calmly and knowing how to get back in with help is the primary objective of this short course. 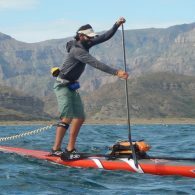 If we accomplish that, we can proceed to things like bracing for support, re-entering solo, tips for efficient paddling, or even starting to learn the roll. 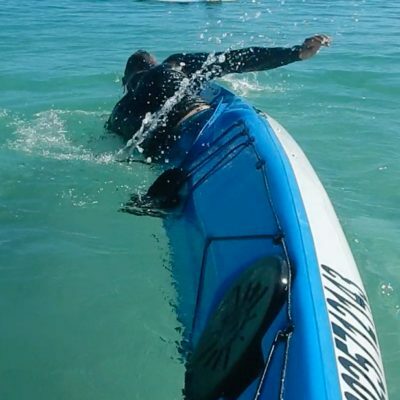 Knowing how to roll your kayak back up is the greatest confidence builder! There are actually many ways to roll, in whitewater traditions, sea kayak traditions, and Greenland traditions. How many would you like to learn? You will get more out of this class if you’re comfortable under water. If you struggle with that, you might want to start with a custom half-day class to build that confidence first. This course is designed for people who want to learn well from the get-go, or who have had experience “figuring it out” but would like to be more efficient. Enjoy learning through a variety of structures, including demos, games, challenges, and simple explanations. 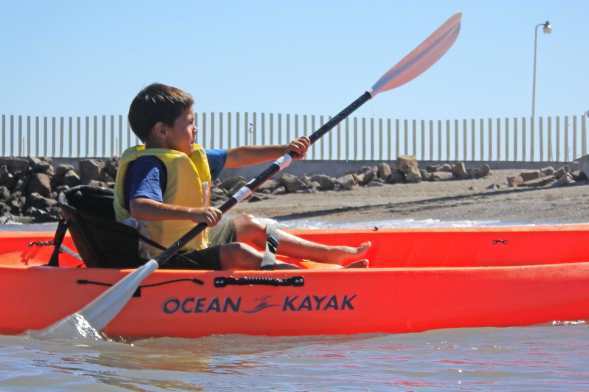 Kayak Basico covers entering and exiting the kayak, falling out with confidence, turning, moving sideways, stopping, maintaining balance, and efficiency for forward paddling. Go a little further with your SUP’spertise! We’ll make sure we’ve nailed the basics, then go on to different stances (how you can put your feet), foot and balance maneuvers such as the step back/foot slide which can assist in making pivot turns. Move your board sideways, either static or on the move. Brace to catch your balance. Find more ways to have fun! 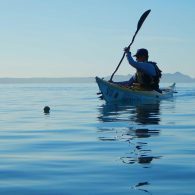 Start with a calm wet exit and getting back into your kayak, and proceed to things like bracing for support, re-entering solo, tips for efficient paddling, or even starting to learn the roll. 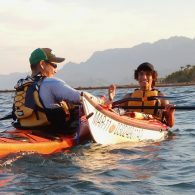 Also learn how to help each other get back into a kayak, and move someone to shore with support. Similar to the half-day Safety Review, but longer! There’s no need to fear them if you know how to play with them! Learn to use this natural resource to your advantage! And what the limits are, of course. 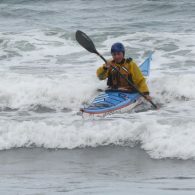 When the wind comes up is a great time to hone your dynamic water skills, from efficient forward strokes, to using momentum and an understanding of physics to get the turn you want, to bracing, to confident rescues in the lumpy stuff. Add cost of transportation if the course chooses to another site for better conditions. 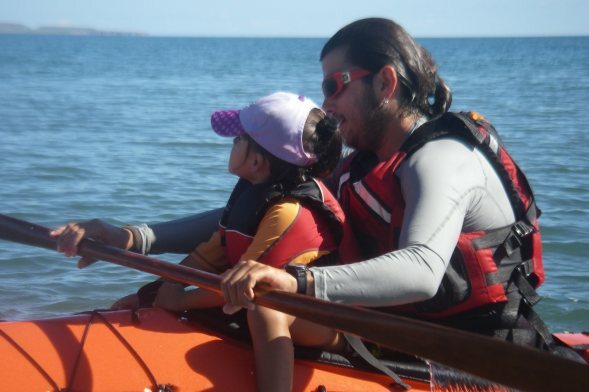 In your choice of either SOT or sea kayaks, learn the safety basics of a beach-break venue, and how to use that wave energy to generate smiles! Practice strategies also for launching and landing under control in this exciting environment.